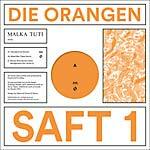 Die Orangen (aka Dreems and Kris Baha) are back on Malka Tuti with the second installment of their Saft series. Saft 2 presents two tracks. On the A-side you can find an epic Goa-leaning version of the now-classic "Yaranabe" track off their debut LP Zest (2017), by non-other than Full Circle, aka Joakim and Alexis Le Tan. On the B-side is a new Die Orangen track. A 15-minute journey through sonic spaces, ancient futures, and alternative dimensions. Although sonically the track screams Industrial, with a closer listen, Die Orangen managed to use a vast pallet of sounds, ideas, and magic. Malka Tuti are releasing Khidja Si Balabas, a mega four-tracker by Khidja, in collaboration with their old time friend from back home Mihai Balabas. The four different tracks were written over the past few years, slowly plotted produced and perfected, each in its own twisted direction. There are no dancefloor killers here, but instead four very unique voyages, experimental sonic excursions in time and space. It was the track "Chloe" that caught the attention, back in 2015. It's not a typical Khidja track, but the musicality and the composition in it reminded us of lost Balearic moments. It made for reminiscing on summery Sunday mornings back when life was still a bit more innocent, and naive. Out of that infatuation came the idea of "sitting on it" until the right tracks will be ready, and here they are, more than three years later. Spectral Empire are George Thompson (aka Black Merlin/Karamika) and Kyle Martin (Vactrol Park/Land of Light). 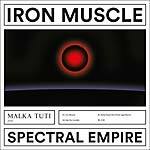 With the release of Iron Muscle, they are celebrating ten years since their debut. They've used every home appliance and improvised noise they could find for the title track. Anything from kitchen drawers to DVD's and cutlery was sampled and then drenched in effects and manipulated in order to create what came out as a cinematic futuristic piece to dive into again and again, a soundtrack for an unwritten sci-fi movie, or just a dramatic soundtrack for your everyday lives. Includes Die Wilde Jagd remix. Plazmot is Yovav and Assaf Bloom. On the A-side you will find "Orot Levanim" ("White Strobes in Hebrew"), a mid-tempo new wave synth-pop song in Hebrew, layered on funky drum machines, guitar riffs, and melodies that more than refer to the British synth-pop of the late '70s and early '80s but with a visible Mediterranean DIY touch. The B-side is "Allenby", named after a key axis in Tel-Aviv's nightlife. "Allenby" is what techno in Tel Aviv in 2018 is: a crossbreed of Red Axes and Carl Craig. Comes with sticker sheet for DIY outer sleeve. Following their debut album Zest (2017), Die Orangen (aka Dreems and Kris Baha) are back with a new EP on Israel's Malka Tuti. The first part consists of a new version of "Yaranabe", recorded in session as part of their live act, while the second is Tapan's remix of "Metal Man". Tapan's first track to be made after finishing their debut, it's an interesting evolution of their sound, slow, dark, and punchy, yet also a track for the later hours. On the B side lies Gordon Pohl's re-imagination of "Mersey River" (aka "the Platypus track"). 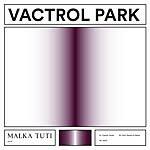 Only one month after the release of their first EP on Malka Tuti in May 2018 (MALKA 017EP), Vactrol Park continue surprising, this time with a full LP in the shape of Music From The Luminous Void. The album sees Vactrol Park delve much deeper into more atmospheric realms. Using modular synths and unexpected drum machine sequencing they leave the 4X4 beats behind in favor of off-world rhythms and ever-growing bass. Starting with the high frequency tension of "Drop", laying on top of those heavy kick drums it keeps on growing and growing. From there it moves to the "End Of The Party" groove that is "Novikov's Notation", and its trippy monotonic rhythm. The A-side ends with the heavy sampled ambient track "Macbeth", bringing forward that mesmerizing flute solo by Italian artist Luca Spagnoletti yet succeeding in avoiding the kitsch, and with a touch of class. The B-side delves even deeper into ambience and atmospheric muzak. Starting with "Bells", that features again Spagnoletti on flute. Then you get into the real gems of the album -- "Anstruther" and "Glove". The first is a pure trip into modular psychedelia and repetitive jazzy-like drum rhythms, creating tension right from the start and plays with it throughout the track before decaying slowly into "Glove", which is in sense both the catharsis and the decompression session of the album. Like a 2018 version of Vangelis, this track's soundscape will keep you dreaming with your eyes closed long after the album ends. Vactrol Park is Guido Zen and Kyle Martin. Vactrol Park are Kyle Martin (Spectral Empire, Land Of Light) and Guido Zen (Brain Machine). Following two unforgettable EPs on ESP Institute in 2015 and 2016, this self-titled EP is a door into the sound of Vactrol Park: ever deeper, abstract, and mature. 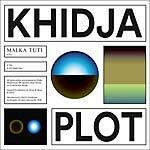 2018 is going to see the bond between Khidja and Malka Tuti strengthen, with the Romanian duo bringing forward their eclectic, cross-genre approach to electronic music in the shape of two full releases as well as several remixes. "Plot" and "Am I Really Here" are two dancefloor bangers, not hiding behind fashions and hype, the duo is pushing forward on both tracks, each with its own idea and story to tell. This one continues Malka Tuti's 12" dance series perfectly, with both tracks being pressed on 45rpm and getting each its own side. 180 gram vinyl. Xen & Yovav return to Malka Tuti in 2018 with full thrust and eyes to the future. 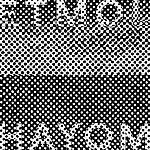 "Hayom Etmol" is a 100% good vibe DIY post-punkish poppy song with a flowing synthetic bass line, Balearic guitar riffs, and dreamy vocals. The B side, "Shavit", is a vocal-led song, with a repetitive guitar bassline, trippy guitar riffs, and a minimalistic drum machine. Artwork by Morey Talmor. 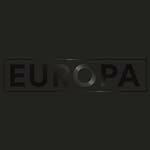 This double-LP, Europa, is dedicated to and inspired by events in 2015 and 2016, which saw the specter of global crisis come knocking at Europe's doorstep. During this time, more than a million migrants and refugees fled their homes in the Middle East, Northern Africa, sub-Saharan Africa, and other conflict ravaged areas in search of a better life. For many, hopes of a future for themselves and their families lay in continental Europe. As already said about the preceding 12" single with the same name (MALKA 014EP), one of the most well-trodden paths on this journey was the Balkan route, a trail leading through Turkey, Greece, and the former Yugoslavia. This route was not without its dangers, and the dreams of thousands upon thousands were dashed by impassible security fences and discordant EU politics, as one by one they were turned away at borders, or worse, forcibly returned to their countries of origin. Europa was recorded during long jam sessions in Belgrade as the media spotlight started to dim. The city became the purgatorial destination for a large number of migrants, whose journeys had been cut short. 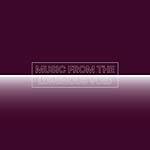 This double LP reflects the atmosphere of disillusionment and uncertainty about the future, which descended on the Serbian capital. Dark and melancholic saxophone playing on top of heavy kicks and Mediterranean percussions dominate the epic, 17-minute title track. The collaboration with Jerusalem In My Heart (Radwan Ghazi Moumneh) continues the melancholic atmosphere, adding JIMH's signature delayed bağlama sounds, to create a 12-minute emotional journey, tearing away abstract concepts of "longing" and "home" with ever growing tension and magnitude. Genre-less, illusive and not easy to categorize, Tapan's debut album on Malka Tuti is an original soundtrack of a fragment in time and space, capturing a moment and transcending it musically for the rest of the world to experience. 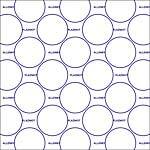 The first LP is one-sided; side B is silkscreened. Comes in a black-on-black cover, including an insert riso-printed photo. This record, and the imminent full-length release, is dedicated to events in 2015 and 2016. During this time, more than a million migrants and refugees fled their homes in search of a better life. One of the most well-trodden paths on this journey was the Balkan route. This route was not without its dangers, and the dreams of many were dashed by impassible security fences and discordant EU politics. 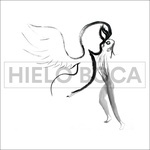 "Europa" is the first single that represents the seed of discontent. It was recorded during long jam sessions in Belgrade. Timothy J Fairplay provides a remix.